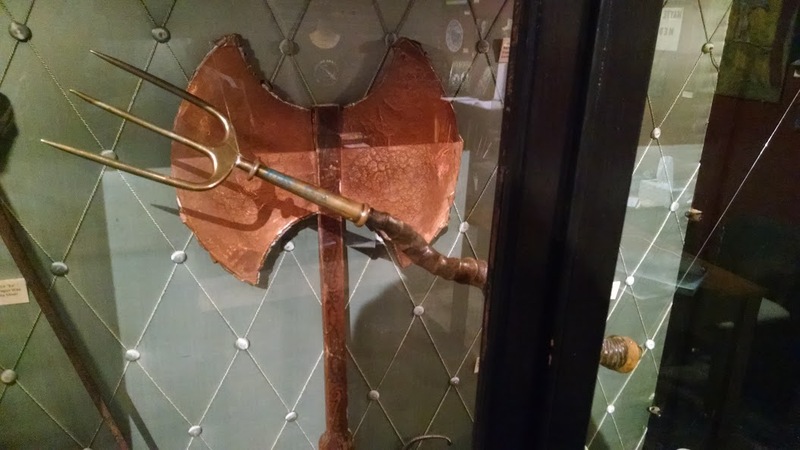 A trident wand once owned by Aleister Crowley, donated to the museum by Israel Regardie. 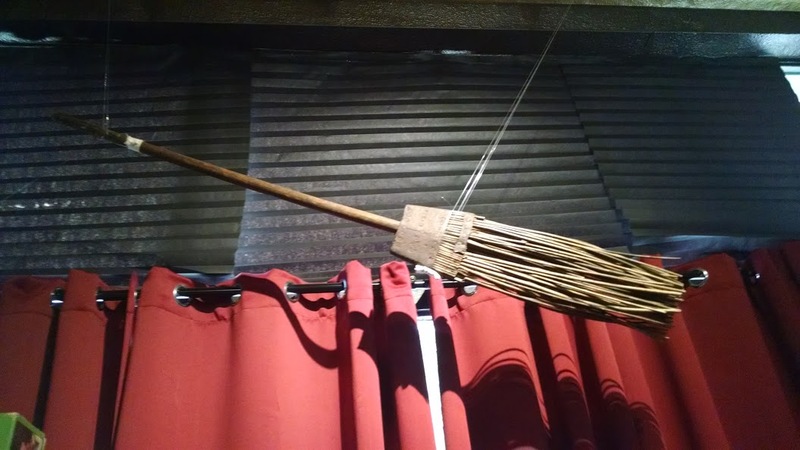 Cleveland's attractions, aside from the Rock and Roll Hall of Fame, include the Buckland Gallery of Witchcraft and Magick, 2678 W. 14th St. in Cleveland, which has artifacts owned by Aleister Crowley and other famous magick/pagan folk. I didn't even know Cleveland had such a thing until Ted Hand came to town last week to visit it. There's a reason, though, I hadn't heard about it. It used to be in other locations, and the Cleveland site only was officially opened in April 2017. Summer hours are a bit limited — 5 p.m. to 7 p.m. Tuesday and Thursday, 5 p.m. to 8 p.m. Friday and noon to 5 p.m. Saturday and Sunday — but the museum also can be visited by appointment, so I went there about noon Thursday. The museum is housed in one room inside A Separate Reality Records, a used LP shop that seems to have a good selection. The one room also is not terribly large, but it is crowded with artifacts and it took a bit more than half an hour before I felt I had seen everything. My tour guide, Steve Intermill, who runs day to day operations at the shop with his wife, Jillian, said many people stay as long as an hour and a half. Steve told me there are more than 200 artifacts; about 25 percent aren't on display because of lack of space. 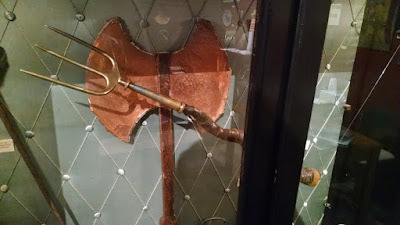 The website says, "The Buckland collection includes artifacts from Raymond Buckland, Gerald Gardner, Aiden Breac, Lady Rowan, Aleister Crowley, Sybil Leek, Anton LaVey, Israel Regardie, Christopher Penczak, Stewart Farrar, Janet Farrar, Scott Cunningham, and many other leaders of the pagan community." Buckland put together the museum and had it in various locations, including New York and New Hampshire, before locating it in Ohio. A besom, or broom, that once belonged to Gerald Gardner. Steve showed me a small box and told me that Buckland helped trap a demon inside the box in the early 1970s. The demon is supposed to be still inside, and Steve has to fend off requests (and bribes) to open the box. He pointed out to me that opening the box would make the museum less attractive as a tourist destination; a box with a demon inside is much more interesting than a box that USED to have a demon inside. 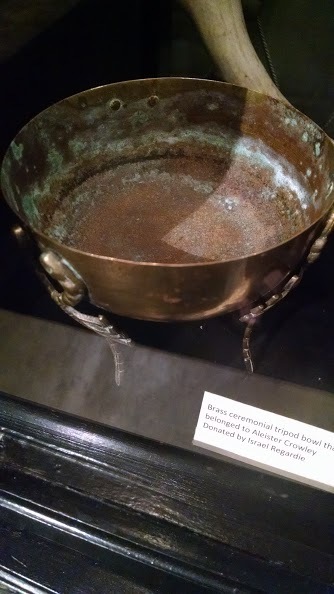 A brass ceremonial tripod bowl that once belonged to Aleister Crowley. Lots more information if you follow the link to the website. I should mention that the museum is in a pleasant section of Tremont, a historic Cleveland neighborhood. I walked through a park, had lunch in a good Asian restaurant across the street and had coffee in a nearby coffeehouse. Another great reason to visit my old hometown. Thank-you, Tom!